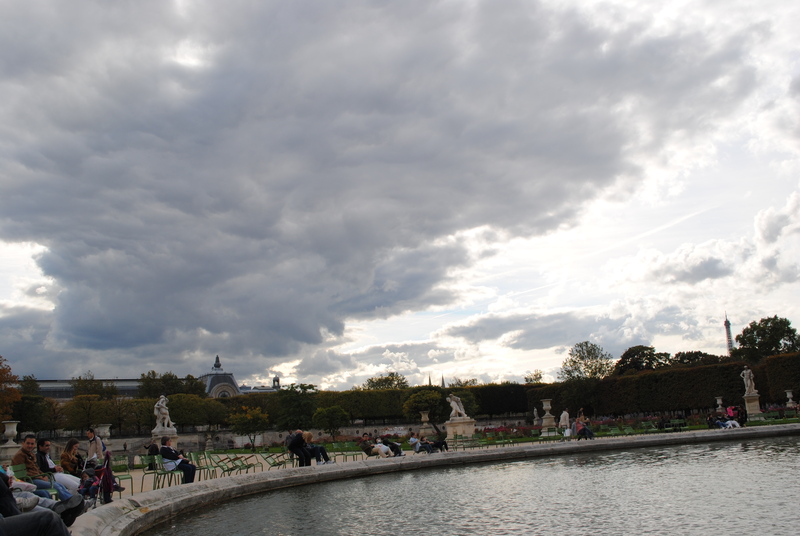 “a rustic Eden which affords the youth of Paris charms which regularly prove irresistible. de Paris, L’ile de la Grande-Jatte, 30). In La Grande Jatte, Seurat shows the nature of class distinction in this painting through the diverse ages, dress, activities of elegant men and ladies, soldiers, nannies, bourgeois and workers. It is a mixing of social class that had just begun to take shape in the modernity of Paris. Seurat’s work holds a balance between the diversity of these social classes with the uniform activities: fishing, reading, boating, strolling, watching sports (rowing), and relaxing. Notice the bourgeois couple with a pet monkey, in the foreground, approaching a worker (or perhaps boater) in his t-shirt and cap. Will the couple strike up a conversation with the man? 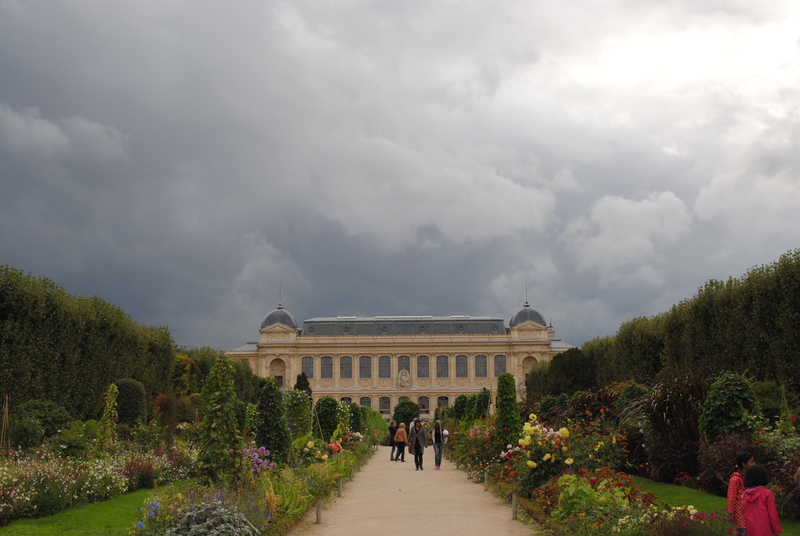 In most city jardins of Paris, this mixing would not be allowed during this time period. On the other hand, there is a contrast to the uniformity of activity with a distinct disconnect of his characters who are mostly in profile. 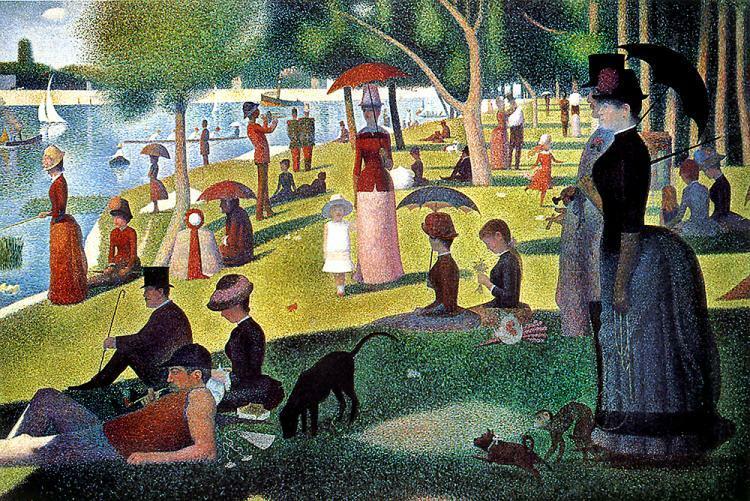 The only exception can be seen in the center of the painting: a young woman with her parasol is holding the hand of a little girl dressed in a stark, white pinafore ( this painting represents a pivotal scene in Ferris Bueller’s Day Off recalling the angst of misunderstood youth, or more specifically, Cameron!). Who belongs to whom in this painting? It is not clear what these character’s next moves are. As they are walking towards the Seine, will they stop and talk with strangers? It is not likely that they arrived together, but will they begin to mingle in this small space and shade? A framed print of this painting which I bought at the Art Institute of Chicago has hung in my bedroom since 1997. The original colors of the massive canvas of 207 by 308 centimeters have faded from when Seurat first painted it as he experimented with different pigments and style (pointillism), but the basic theme still fascinates me. I like to see Seurat’s women reading journals and novels showing the equality of intelligence and interests. I have tried to imagine which character I would be in the painting: the young woman reading, or fishing, or sitting with her friends chatting and laughing, or perhaps the little girl running freely through the park without a care in the world. While studying abroad in Paris last year, I spent many Sundays after church at public parks and visiting museums (which are free on the first Sunday of each month), and thinking about Seurat’s painting. Even though the clothes and activities have changed ( and I’ve yet to see a pet monkey), one hundred and fifty years later, Parisians still enjoy their Sunday afternoons! I remember being so amazed at pointillism the first time I saw it … Simply unbelievable that all those little dots made up such beautiful paintings ! I agree, Jana. It is a very unique style and quite hard to achieve such clarity with a mess of dots!